How GDPR can Impact on Your Business? Today, in every part of globe, large numbers of sites are collecting personal data. Most of these site are social media and e-commerce websites which collect the personal data like name, email address, mobile number and as well as payment details. These all sensitive details are stored by many government and private agencies. Personal data is prime target of data breaches. These personal data are naively stolen and misused.So now question is that how to keep safeguard your data from falling into wrong hands?Here come the GDPR. 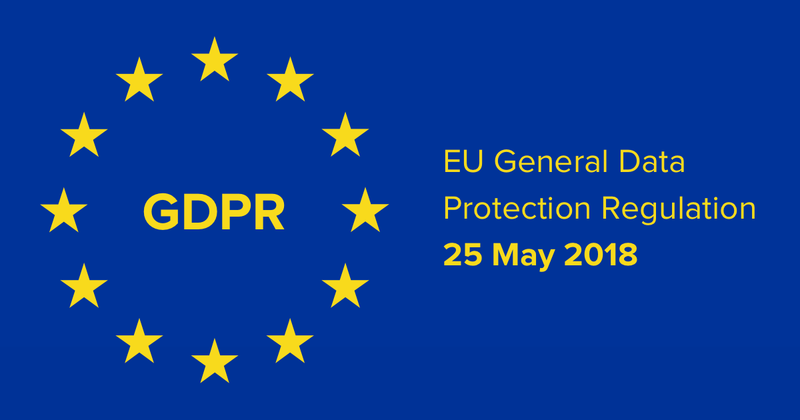 GDPR stands for General Data Protection Regulation and this was regularized since 25 May, 2018. GDPR is the set of rules and regulations to provide control over personal data and transactional privacy to European Union citizens. Last time GDPR was released by European Parliament in 1995 and this was recognized outdated because of several reasons. Again in April 2016, new data security regulations were supplanted. GDPR new standards are very advanced and require most companies to put enormous investment to meet standards. GDPR also impacted outside the European countries. All other companies from outside Europe will have to make changes in their European system. It does not only secure the private data but also take care that no data is misused or exploited. Introduce number of diverse and new needs of business. Give more control to individuals over their personal data. Apply to firms other than EU that can process the personal data of EU citizens. GDPR apply to every company which keep and process the personal data of European citizens. It is very hard for those companies which are not aware of GDPR regulations. The major objective of GDPR is to secure personal data of European citizens. GDPR includes data like name, address, and contact number, credit card, genetic data, health reports, political opinion, biometric and sexual orientation as well. This has eased task for businesses to collect data because of trust worthiness by GDPR. Today, Internet is fully flooded with the professed information. To shut these activities, UK’s Information Commissioner’s office and GDPR legislations authorize data insurance laws and stated that these rules have same weight for all. If the firm with a team of less than 250 employees needs to hold all the inward records of preparing exercises that could prompt the risk of freedom or rights of the individuals. If a firm has more than 250 employees, the information must be kept more accurate and detailed. These records include- the name of the appointed protection officer, description of data categories need to be processed, the name and details of the firm etc. Analyzing: The very first step is to analyze very well the need of GDPR. First of all consult with a legal advisor who can describe you the GDPR regulations about privacy of data and also impact of GDPR on business. Legal advisor can also help to understand the faint areas. Training: You need to train you employees who have accountability of personal information of citizens and make them understand ponder-ability of GDPR Data protection rules. Appoint a Compliance Officer: To keep away your company from legal consequences because of GDPR regulations, then assign a compliance officer who know the law of GDPR about data privacy. A compliance officer will be able to save many times if there are any constant changes. Arranging your data: Data management is also very important to help the company from GDPR regulations. List out the information which can affected by GDPR rules. For example: personal data of citizen, financial record, order history and any other contract etc. These are really helpful to prepare the policies, empower you to administer the data more precisely. How GDPR can Impact Your business? There is an old saying that “customer is the king of the market”. It is very necessary to secure the data of users for every kind of business. GDPR assists the every business from processing of personal data to store and securing. GDPR is beneficial to every size of business. From very little to very important record, it is very requisite for every business to comply with GDPR rules and regulations. You do not comply with GDPR then your firm can face the legal consequences. Consumer data is the most important asset of every firm. If you have plans to deputize your business in European countries then customer data security must be on the uttermost priority. For many, it is very defy to understand in the beginning but later you will realize that GDPR provides galore of opportunities. We hope this post will help you to understand better about the GDPR.